London has long been at the forefront of public gripe in regards to the cost of living in the UK’s capital. Data shows a continuous rise in travel and accommodation costs, there is no sign of this slowing down. As a result, The Financial Times highlights the grievances of employers in correlation to the soaring prices, as employers are finding it more and more difficult to attract staff. For those seeking employment in London, travel and accommodation costs can be deciding factors. The following image created by TotalMoney.com shows the average cost, per week, of a one-bedroom near each tube station. As the first image above shows, Liverpool Street and Old Street are among the most expensive, which are common stops for commuters heading into the Shoreditch area. Travel and accommodation are major factors. But also, business rates are set to go up in London, with Colliers predicting Central London businesses being among the biggest losers as a result. Therefore, employers/SME’s are having to combat both issues in order to maintain and succeed in their businesses. The Head of British Independent Retailers and proprietor of 9 Tool Shop store in the London area sates, “this is really difficult for our members”, highlighting the impact on small business in particular. Leasing might be a viable option for small business to preserve their capital. Overall, both concerns play a major factor in business. 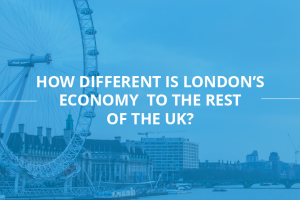 As the above states, London business owners are concerned with attracting employees because of the economic climate. The cost of living in London is vastly disproportionate to the rest of the UK, which means other cities may attract future workers. This challenge could be tackled by providing your staff with equipment to work from home. By doing so your company would save on overheads like equipment and office space. It costs less to buy a laptop, than to rent a bigger office and provide your employee with a laptop, desk, chair, internet connection and other necessities. In fact, it is often more cost effective to lease all of this equipment and enable your staff to work remotely for a win-win.